Major Exterior Renovation of a Coop Apartment Building on the Upper East Side. 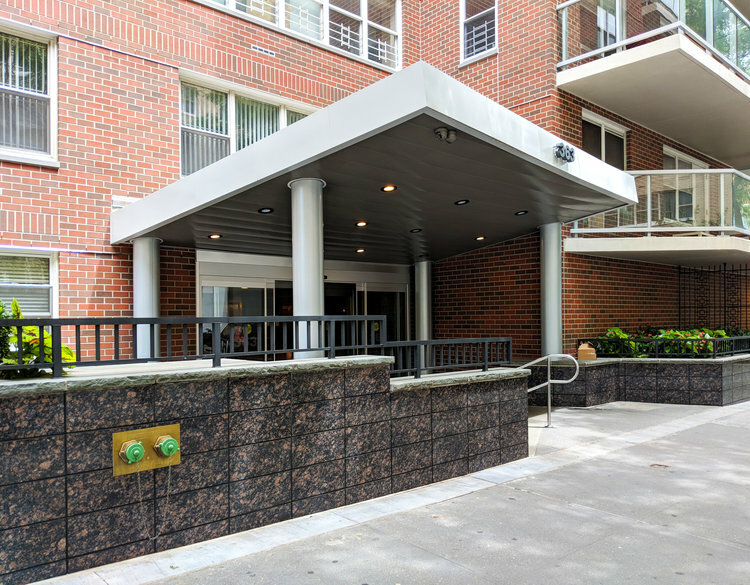 GKA Architects and Accardo Engineering were commissioned by the 363 Owner's Corporation to design exterior improvements to the 20 story cooperative apartment building located at 363 East 76th Street, in the Upper East Side of New York, New York. Improvements include full facade renovation replacement of white brick facade with new red brick facade, new granite and cast stone masonry ground floor facade, new entrance courtyard with accessible ramp and planter, new entrance canopy, new sliding entrance doors, and new finishes throughout.